If you've been reading my blog for only a short time then you might not know that I love playing video games. Tim is just the same, which makes a perfect living partners. I've got an Xbox 360, and a Ninendo 3DS XL, Tim has his Playstation 3, and his PC, and now we share an Xbox One! If I think back I remember gaming from a very young age, I used to play a game on the PC called Mixed Up Mother Goose. It was a game where you were in a Nursery Rhyme world, and you have to return lost items to the nursery rhyme characters, and then they sing their nursery rhyme. I LOVED this game, I completed it five or six (maybe even more) times when I was a kid. It was my first taste of video games, and certainly not the last. Then I got a Playstation One, and played games like Spyro, Crash Bandicoot and Croc. 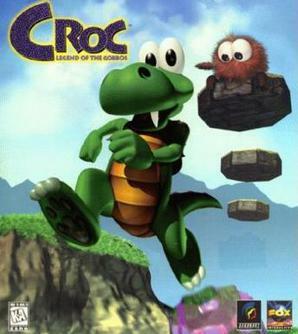 I fell even more in love with gaming, my favourite was definitely Croc, despite the fact that I never could complete it because it was ridiculously difficult! I think this is really where my love of gaming began to be honest. 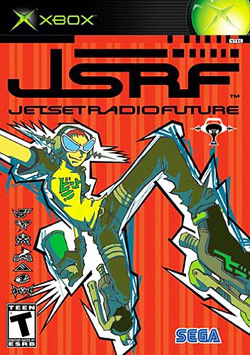 For a while I all but forgot about gaming, and then my neighbour got an original Xbox, and I became obsessed with a demo he had of 'Jet Set Radio Future'. If you've never played this game, then you must, it's a roller-skating, graffiti tagging, about pirate radio game... That doesn't even begin to cover what this game is, but it really sparked my interest in gaming again. Honestly though it was the Assassin's Creed games that cemented my love of gaming. My brother got an Xbox 360 for his birthday one year, and I bought a couple of games, and he would let me play them, (only when he wasn't playing it though). The first Assassin's Creed was the first Xbox Game that I ever completed, and so far is the only series I have ever completed (except Black Flag, which I am working on). I think the thing I love most about the AC games is the free running aspect of them, you can climb buildings and dive off into straw bales... It's just so liberating! Oh, and you get to assassinate people with blades hidden up your sleeves, what more could you want? If you want to read all my posts relating to gaming, you can do so by clicking here. Do you play any video games. and what are your favourite?